Superbly positioned on the top floor of Shed 19, this modern, penthouse apartment is perched on the waters edge and the spacious layout offers open plan living and a good size entertainment deck with fabulous views over the iconic ferry building and out across the gulf to Rangitoto and beyond. At approx 138sqm, there's more space than you may know what to do with laid over two levels offering privacy between the two bedrooms. There’s a double bedroom on the first level with its own balcony, a bathroom, and wardrobe. Upstairs you’re greeted with a large lounge area, kitchen with breakfast bar, and of course a balcony that you may sit out and enjoy evening drinks and dinner on. The master bedroom is upstairs with ensuite bathroom, and wait.. it features a real bath! Whats more this apartment has been tastefully renovated so there's nothing to do, simply move in and experience the Princes Wharf lifestyle that only a few get to experience. 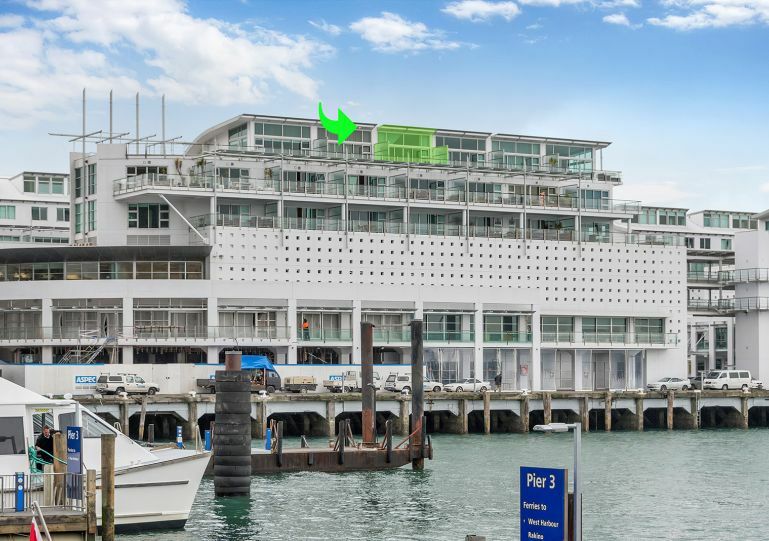 With the events planned in Auckland in the coming years, the demand for central Viaduct accommodation will only increase, and you can imagine the interest in this apartment if your intention is to manage it as a serviced apartment. Currently managed by Quinovic property management, you could keep the apartment where it is, a simple option to maintain the income stream. Alternatively you may wish to live here permanently as the addition of a secure car park is certainly a bonus.